Today’s Bible story in The Gospel Project® for Kids is one that many kids have heard before, and we often lose sight of the central message. 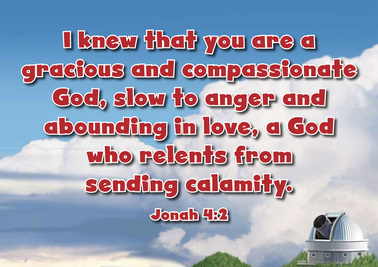 The message isn’t so much about Jonah being swallowed by a big fish, although that is certainly amazing. Jonah’s account centers around the compassion of God, not only for the people of Israel, but for people throughout the earth—even Israel’s worst enemies! The people of Nineveh immediately repented, and God withheld His judgment. Jonah was furious. God rebuked Jonah and prompted him to examine his heart. 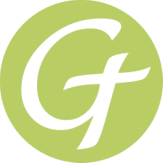 God displayed His mercy and grace by forgiving the people of Nineveh when they repented of their sin. God showed His love to the rest of the world by sending His Son, Jesus, to die on the cross. God saves those who trust in Jesus and repent of their sin, and He sends them out, like Jonah, with the good news of salvation. Nineveh was the capital of Assyria. The people who lived there were known for the evil things they did. When God told Jonah to go to Nineveh, Jonah ran the other way! Jonah got on a boat heading to a faraway city. He didn’t want to go to Nineveh at all! But God wanted Jonah to go to Nineveh. When Jonah was on the boat, God sent a storm that tossed the boat up and down on the waves. The sailors on the boat were afraid! They cried out to their false gods for help. They threw overboard the things on the ship to make it lighter. “Throw me into the sea!” Jonah said. “This storm is my fault!” The sailors threw Jonah into the sea, and the storm stopped. From that moment on, the sailors worshiped the one true God. From the belly of the sh, Jonah prayed to God. Jonah thanked God for sending the sh to save him. Then the sh vomited Jonah onto dry land. The people of Nineveh heard Jonah’s message and they turned from their evil ways right away. Everyone in Nineveh put on sackcloth and did not eat. Even the king of Nineveh repented. He told everyone to repent; maybe God would decide not to destroy them. God saw how quickly everyone in Nineveh stopped doing evil things. He decided not to destroy the city like He had planned. Jonah was very angry! How could God be so kind to such evil people? 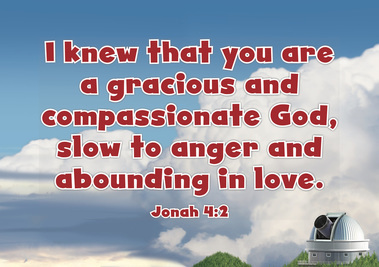 “Is it right for you to be angry?” God asked Jonah. Jonah left Nineveh and made a shelter where he could still see the city. He watched Nineveh; maybe God would change His mind and destroy Nineveh after all. God taught Jonah a lesson. He provided a plant to shade Jonah from the sun. Jonah was glad to have the plant. But the next day, God sent a worm. The worm attacked the plant, and the plant died. Then God sent a dry east wind. Jonah was so hot, he almost fainted. “I want to die,” Jonah said. to the rest of the world by sending His Son, Jesus, to die on the cross. God saves those who trust in Jesus and repent of their sin, and He sends them out, like Jonah, with the good news of salvation.